Welcome to the Ten Percent guide to selling a law firm, which is aimed at solicitors, legal executives, licensed conveyancers, and anyone else with a financial interest in a law firm and looking to sell or exit. It is a short guide containing our advice that we very often give over the telephone to sole practitioners and partners in high street and niche commercial law firms looking for an exit, or to sell or merge. It contains advice and information you will hopefully find useful, but we start the article by saying we do not accept any liability if you read the article and rely on any of its contents. It is written solely for your information and if you require advice on the sale of a law firm, valuation or exit/merger, please get in touch with me personally at jbfagan@ten-percent.co.uk or visit our website at www.ten-percent.co.uk and follow the links to law firms for sale. If you are reading this you are probably already considering selling your law firm and have probably thought long and hard about your options, but so few people actually think through all the options when it comes to a sale of a law firm. You may have read lots of reports in the Law Society Gazette about recent sales of law firms or mergers, and be worried that you are not benefiting from the current surge in interest in the profession and the money being bandied about. Why are you thinking about selling your law firm? Are you looking to retire, get out of law, stop running a business, join a larger firm because you feel lonely on your own as a sole practitioner, looking to recruit new staff but failed so far so deciding to get out instead, or are you ill or running short of money and in dire need of a sale? All of these are reasons we have come across for people looking to sell up, but they are not all valid reasons for seeking a sale above anything else. Firstly, consider retirement. If you are in your fifties and looking for a sale then I can almost guarantee that within 2 to 3 years of getting out of your law firm you will be back in law, either setting up a new practice, working as a locum or taking an employed position. So many people get to what they think is retirement age, leave their job and then realise that actually they either don’t have enough money to do the things they want to do, or they are thoroughly bored, with most falling into the latter category. It is very hard to go from having a professional job to not doing much at all, and a lot of people struggle with this. Selling your law firm may not be the best option for you. Similarly, if you are not very well, and this could involve terminal illness, long term debilitating illnesses or a need for intensive treatment over a period of time, then again you may want to think carefully before you decide to sell because it is perfectly possible to run a business without necessarily being fully involved; it simply requires extra assistance and this may be something you need to consider carefully. After all, if you get better, or your circumstances change, you will have sold your interest in a perfectly functioning business that could have sustained you for some years to come. There are other options, including using a locum or stand-in lawyer to run your practice, work part-time, jettison some awkward and low paying clients or simply employ more staff to run and manage the business while you take a backseat and fight your illness. Some sales of course are simply to benefit from the outstanding performance of a company and to cash in whilst the going is good. It should technically be the aim of every business, although this is easier said than done for a good number of law firms which have little or no evidence of standalone income generation. Running into financial difficulties and need a quick sale? We come across this fairly regularly, although probably not as often as you may think. One of the first businesses we were involved some years ago was a firm in the North West of England where the partner had run out of funding to keep a number of high value cases going. We sought a quick sale for him and achieved it. Whilst we did not get to know the details of the sale conditions (there tend to be confidentiality clauses for both parties and as we don’t charge a fee on the value of the sale we don’t necessarily need to know), I would imagine the seller made a considerable loss on the sale, as you would expect, but he did get to continue working and secure a home for his staff and files. Selling quickly is not usually too difficult to achieve where time is of the essence. The purchasers will sense a bargain and seek to exploit the precarious position of the other party, which you may be content with in the circumstances. Provided you have gone into negotiations with your eyes wide open and know there is a good chance you are going to lose significant amounts of money from any sale, but will secure at least something, then there is no issue really. If you are in financial difficulty, explore all options very carefully before looking at the sale option, because I can guarantee it will not generate you extra income; it is very likely to cost you money and try to avoid wherever possible. Easier said than done of course. Not being able to recruit staff is another reason for seeking a sale of a law firm and again our advice would be to look very carefully at this before deciding to take the nuclear option of getting out. I was recently speaking to a small practice in South Wales who are looking for a sale and the main reason for this is they think it would be impossible to recruit anybody to join the business when one of the partners retires. I asked them if they had looked at all and they advised me that they hadn’t bothered because they knew it would be impossible. So rather than even attempt to do something that is not going to cost them any money, advertising your legal jobs is usually completely free of charge with recruitment agencies (what about visiting www.ten-percent.co.uk – apologies for the shameless plug!). You have nothing to lose, whereas if you sell your law firm you have everything to lose. Always think about the other options that are there as well as a sale and consider these carefully before deciding to go down the sale route. Of course there is nothing to stop you putting your law firm up for sale and at the same time looking at other ways of developing your business interests. We have sellers of law firms who are not only trying to sell their own practice, they’re also looking to purchase other businesses at the same time and move into other lines of work. This is the right approach to take we think, because if you look around at different options it gives you ideas, and you just never know what is going to happen and who is going to come forward to express an interest in either working for or with your business, or purchasing it and at what price. What about the cost of putting my business up for sale? Surely this is prohibitive? Not at all. Although traditionally it has been a considerable expense to even think about putting your business up for sale because most business brokers expect you to pay them right at the start of the process. If you look in the back of the Law Society Gazette there is usually one agent advertising nearly every week to buy and sell law firms (amongst other things). This particular agent will expect you to pay him a fairly hefty sum of money just to consider assisting you in the sale of your law firm, and then further fees go on top if you progress. Large national business agents do similar arrangements, and also charge the seller thousands of pounds if a sale is successful. There seems to be minimum fee of price around £10-12,000 plus VAT. Advertising only options appear to start at £250 plus VAT. Selling a business can be a long and time consuming activity and making sure as a broker you get some return for any effort put in requires a fee to be charged, ideally up front if you are the broker. However there is another option, and that is to use the Ten Percent Legal Buy and Sell Law Firms service at no cost whatsoever as a seller. This is because we only charge the buyers a fixed fee to locate and introduce firms for sale, with a fee only being payable if a deal occurs. We operate a bit like a reverse estate agent. There is absolutely no risk at all to you as a potential seller or merger of a law firm, because you do not need to pay anything to us as agents at any time. Furthermore, you are not bound to us at all so if you decide to put your firm up for sale in lots of different places, we don’t actually care because our involvement is simply with the one buyer or two buyers we introduce you to. Naturally we are delighted if you sell your business elsewhere as that is the purpose of you using the service. This is the most frequently asked question by small law firms and sole practitioners. Do we want to merge or do we want to sell and depart completely? Our advice is usually to consider both, but with the option to extract yourself in the short to medium term if you choose. Firstly, unless you have something that the buyer wants specifically – for example you have a niche area that the buying business wants to expand into, such as debt recovery for media companies or specialist international family high net worth cases in the Bahamas – then achieving a reasonable amount of cash as a lump sum is a very difficult thing to do. Most buyers will want you to stay with the business for a specified period of time as a minimum before you move on to other things and/or pay staggered amounts over time. It is usually considered that the optimum way of selling a business is to extract yourself as quickly as possible and move on, because once you have sold it is no longer your business. However it all depends on your individual circumstances. Merging your company is slightly different because the merged entity will involve management from both the merger and the mergee. How you decide to be involved in the management of the new entity is a matter for yourself, but it is likely you will be merging because you are too small as you are and want to expand without too much risk, you want to still trade but get others involved, or you’ve simply decided to keep your hand in. Involvement in the management is going to be of vital importance to you. If you are merging because you see a way of getting out of your business without too much risk in terms of run-off insurance or not being able to sell up for years then you need some sort of contractual arrangement in place from the outset that enables you to jump at a specified or unspecified point in the future. Every business sale is different, but our advice would be to consider very carefully from the outset what your aims are when it comes to the sale or merger of your company. If it is to stay in business and expand then look very carefully at the management of the new business and how much say you will have in it. Are you someone who can work with others or have you been on your own for too long and going to struggle with the concept of needing to allow others to make decisions, or take part in making decisions? Are potential buyers going to worry about this as well? If you are looking to get out on the other hand, have you got a date negotiated from the outset and is the package you have negotiated sufficient to support you and to value your goodwill or input in the merged business that will no longer be yours once you have departed? What is my law firm worth? We have been told of a very easy way to value small firms with a turnover of less than £500k. We are not sure how accurate or relevant this is generally as each sale we come across is completely different to any others we have been involved in. Unfortunately virtually no rule of thumb valuations apply to most law firms. They really are a complete waste of time as every law firm is different and circumstances vary so often. When all is said and done, a business is worth the price a buyer will pay for it and the seller will sell at. Let me give you a few examples on business value. I know of a solicitors firm in Greater Manchester who have decided, fairly unilaterally, that regardless of the circumstances their business is worth twice their annual turnover; this valuation is based on the advice of their accountants seemingly applying yet another rule of thumb (twice your annual turnover). So looking at a sale price of £2 million. They have not considered profit levels, types of law, the value of any lease, work in progress, staff numbers, staff retention after sale, cost of PII or run off cover. Neither have they worked out how the business would run if the partner leaves. They want the £2 million paid in cash, up front. Is their business worth the figure they think it is and is this going to happen? Example 2 – Legal Recruitment Agency for Sale? Not strictly legally related, but I part-own Ten-Percent.co.uk Limited, a legal recruitment agency. We also have interests in a few other companies such as Ten Percent Financial Recruitment (recruiting accountants for practice roles), business brokerage (buying and selling law firms) and a transcription and translation company specialising in academic and research work. I decided many years ago that if someone wanted to buy our recruitment agency, the sale price would be £1 million. Would I hand it over if somebody was to offer me that tomorrow? Possibly, although similarly I might suffer a heart attack. In years to come when perhaps I need to retire, start new enterprises or commence a new chapter in life, I may be persuaded to accept a drastically lower figure. Perhaps it may be worth a lot more by then, but the point of this example is that everybody in their own minds has a completely different opinion as to what their business is worth. We have just been involved with a potential sale of a conveyancing practice in the North of England. The practice has attracted quite a few enquiries as purchasing conveyancing firms with full panel membership, Lexcel accreditation and the Law Society CQS kitemark is quite popular amongst other solicitors. One of the potential buyers asked what the seller would be looking for in terms of a sale, and what the asking price was. On request, we sent the rule of thumb over to the owner, which worked out the value based on average net profit for the past 3 years multiplied by 2 and coming up with a figure of about £200,000 as a price. The conveyancing practice got in touch with us to say that there was absolutely no way they were going to contemplate a sale at that sort of figure and they considered a valuation of around £60,000 to be much more realistic for what they had to sell. Fair enough! So you can see that the rule of thumb figures that come up when you seek to value a business, whether this is online or via a so called expert, just does not apply in the vast majority of business sales. Business sales depend very much on the value considered by the buyer and the value considered by the seller, and it is only when two minds meet on the sort of figure they believe a business is worth that a sale occurs. This will happen regardless of whether or not you have a figure in your mind as to what your business is worth, as it really does depend on both parties in the equation. The Law Society seem to recommend, or have recommended in recent times a firm of accountants to undertake law firm valuations. We have never used them, we do not endorse them, but the Law Society clearly do (although whether this is just a monetised click through arrangement is another matter entirely!). The company is Armstrong Watson if you want to google them. They charge £3,000 plus VAT to provide a full valuation. We think the better way of approaching a valuation is to look at opportunities as they come up and consider individually. There are so many different opportunities and we find time and again that buyers keep away if they see a set price from the outset – it works both ways as the price can put them off if it’s too high or too low.. We usually advise sellers to be fairly elusive when it comes to specifying a sale price at the start of the process. I think most sellers get a better idea of their worth after speaking to at least a couple of sellers. What steps can I take to increase my chances of sale? All your accounts in order and fully explanatory, without anything missing. Make sure you have prepared copies of accounts that you are able to give any potential purchasers, and do not rely on those submitted to Companies House as very often they contain very little information that a buyer will require. Get copies of your applications for professional indemnity insurance for the past 3 years as these give a lot of information that buyers request, and it means that you have everything to hand if you are asked for them. Get a price for run-off insurance from your PII providers. Buyers seem to ask for this just about every time a sale occurs. Ensure you have the consent of anyone who has an interest in your business, whether this is as a shareholder, equity partner or partner, and speak to senior management at some point to put them on notice if you have that kind of relationship with them, that will not result in them running to the hills and getting out of your company as quickly as possible. Quite often senior management will entertain the thought of a management buyout (MBO), particularly if they can see the success you have enjoyed with the business. Make sure you are at arm’s length from the company wherever possible. Much easier said than done, but if you can recruit people to do the work you were doing on a daily basis this will help your chances of a sale considerably, because as stated above, buyers like to see a freestanding unit that runs itself and not something that is dependent on the goodwill of the owner. Extremely hard to do when you are running a small company and I would be hypocritical if I said that this applied to our own business, when we know that this should be our aim. I part-own Ten-Percent.co.uk Limited but am very much involved in the day to day operation of the company, which I suspect diminishes the value of the business somewhat..
Make sure your internet presence is spotless. If you have any negative reviews, deal with them (obviously not by sounding round the heavies but with carefully measured responses to explain your company’s actions and resolution), make sure your website is up to date and contains useful and interesting information about your business and the fields of law you assist with. If you have not got a social media presence, think about getting one, although personally I still question the relevance of most social media to business. Get a Linked In account for your company if you haven’t already got one. It is very easy to do, you simply need to register your company with Linked In and create a page, so that anybody searching for your company can find you on Linked In. Ensure that the information at Companies House is fully accurate and reflects your company’s position. Try to deal with anything outstanding that is not lodged with Companies House. So many times when we come to look at a sale of a company and go on to Companies House we discover there is information missing that could easily be added, and also easily adds questions to the potential buyers’ mind as to whether or not there are issues with the company they are seeking to purchase. Write user manuals for every process in your business. This might not make a lot of sense, but if you have written procedures for everything in your office it is very easy for a buyer to come in, take over management of the procedures and see exactly what is done, how and when. For example, in our business I know we are lacking company in such user manuals and if I was taken ill tomorrow, or run over by a horse then a couple of parts of our business would simply cease to function because I have not written out manuals or processes explaining to anybody who needed to come in at short notice and take over my work, how or what we do in certain circumstances. It is important to have these in place when you are seeking a sale of your law firm so that anyone with the requisite experience could walk into your business, take over your files and staff and make the business operate smoothly and effectively. Selling the business is extremely straightforward in a lot of different ways. This is how the process goes if you use us as your brokers. Register with the Ten Percent service by clicking the link here and filling out the online form. Complete a questionnaire we will send across. We advertise your firm across a whole range of different media sites in strict confidence. We deal with all queries from potential buyers. All contact with buyers is handled for you initially. Buyers will sign a confidentiality undertaking and agree terms with us. We agree terms with all buyers before supplying information because they pay our fees and you do not as a seller. Buyers agree terms with us and then request full and further information on businesses we have for sale, which is only supplied with your consent. Once a buyer has agreed terms and signed a confidentiality undertaking we identify them to you. You consent (or otherwise) to us supplying the identity of your firm and the location to the buyer. The buyers will very often come back to request copies of your last 3 years accounts, details of your professional indemnity insurance, details of any claims made against your business in the last 5 years, figures showing full information on turnover and net profit, figures showing sources of work, whether this is from referrals, word of mouth, street walk-ins or internet sources. Once a buyer has satisfied themselves that they have sufficient information they will proceed to the next step which is to speak to you face to face about your business and the potential sale. Some sellers like to do this in a neutral venue but others like to get the buyer to come into the office to see for themselves what and how your business operates. We always recommend a neutral venue for the first meeting. 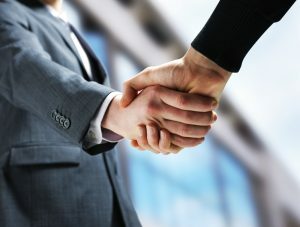 Although this might sound like a stressful experience, meeting someone who is going to be looking to haggle with you in the future, most buyers and sellers seem to find it quite enjoyable, because one party is looking to progress and expand and the other one is looking to make a deal happen, so provided you are open and straightforward to deal with the buyers this experience should run very smoothly for you. Finally, if a buyer meets you and then decides to proceed to make an offer, they will conduct due diligence, which everybody does in a different way. We can recommend a solicitor to you who has specialised in the sale and purchase of solicitors firms and other professional practices, but generally the key aim is to get all information out of the seller on just about everything that either exists in the office or concerns on files you are working on and potentially working on in future. Any buyer worth their salt will check you out thoroughly, including full background checks on you and your business. Once due diligence has occurred you will proceed to the offer stage, which is beyond the scope of this article, but essentially involves either lots of negotiation or in some cases, very little negotiation because the buyer pitches at the level you are looking to sell at or get out of the business at. I hope this article has given you some advice on considering the sale or merger of your solicitors firm. The specific advantage of using our service as opposed to many others is that we charge absolutely nothing to advertise with us or sell your practice. It is strictly confidential and if you take a look at our lists I am sure you can agree it would be very difficult to identify any of our clients. If you have any questions regarding our service or anything that crops up during a potential sale, please get in touch. Unlike just about every other business broker, we do not charge for our advice, and it is provided entirely free of charge in the hope that it is of some use to you or other potential sellers and purchasers. Jonathan Fagan LLM FIRP is Managing Director of Ten-Percent Legal Recruitment. He has been recruiting solicitors for law firms and in house legal departments for over 19 years and handles law firm sales, mergers & purchases. A non-practising solicitor on the Roll since 2000, he is also the author of a number of legal career books. You can contact Jonathan at cv@ten-percent.co.uk.